It’s tough being technophobic. Barely a day goes by without the feeling that society is conspiring against you to get a smartphone or, god forbid, download an app – no wonder one of the British political parties is vowing to take the country back to the 1970s! And now the technophobe’s worst nightmare is coming true. Initiativet, a new political party, wants to use modern smartphone technology to put voters back in the driving seat when it comes to lawmaking. It intends to use its mandate according to how voters indicate their preference via their platform. This will involve a mobile app that allows voting on individual law proposals as well as taking part in the general political debate. “We don’t think the general public are taken seriously enough in Danish politics. Politics is mostly about spin, scandals and cake, rather than serious political content,” explained co-founder Holger Thorup. “We are bringing people’s votes all the way into Parliament by letting everyone vote on all bills – and not just when there is a general election every four years,” added Thorup. Back in the real world, the majority of Danes would like the country to go back to 1984 – the Orwellian version. Some 60 percent approve of more video surveillance in public places to prevent and fight terrorism. 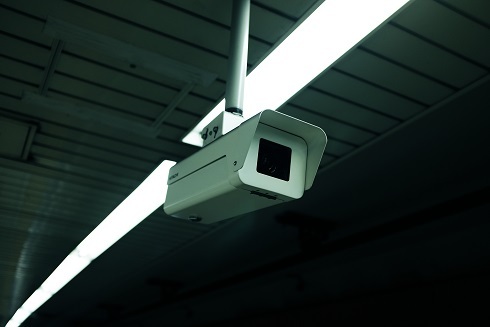 When asked whether more cameras should be erected in public spaces, just 15 percent disagreed, according to the YouGov survey conducted on behalf of Metroxpress. Right-wing party Dansk Folkeparti praised the survey’s findings, but the government parties are more reserved. “I think it’s a fundamental right as a citizen in Denmark not to go around being monitored all the time,” Liberal Alliance’s spokesperson on judicial issues, Christina Egholm, told Metroxpress. The advantage of being technophobic is that you’re not going to be a victim of a cyber-attack. On the Store Bededag bank holiday on May 12, Denmark was among 99 countries targeted by hackers using ransomware. The infection encrypts files and then demands payment in Bitcoin (of around 2,000 kroner) to unlock them, but it is believed Denmark got off lightly. Nevertheless, according to Peter Kruse from the CSIS Security Group, Danish healthcare had similar security to the British system, which was hit badly by the cyber-attack, so it is vulnerable to future attacks, he told TV2. According to PandaLabs, only 0.65 percent of Danish computers were attacked during the first three months of 2017 – one of the lowest rates in Europe. Technophobes, of course, have longer to endure ‘the future’ than they used to. According to the Finance Ministry, the life expectancy of Danish men and women aged 60 has risen by 4.2 and 3.4 years since the 1990s. The median life expectancy in Denmark is now 78.8 years for men and 82.8 years for women – plenty of time to get clued up and join the modern age!